As a young child I always believed that I had lived in another time. Growing up in the 50s and 60s this was not something that was discussed with my family or friends. Definitely not with my family, as they already thought I acted old for my age. As I was an only child for seven and a half years before my sister was born, my environment consisted of mostly adults. I was a very quiet introspective child and I always felt that I really shouldn’t be in this family. I know my family also saw me as different and weren’t always certain how to raise me. However, they did the best job they could despite my unwillingness to necessarily follow their ideas of how I should behave. Many nights after being put to bed, I wouldn’t fall asleep because my bed was my magic carpet and I was off exploring all the places and countries where I had lived in other lives. No wonder it was always a chore to get me up in the morning! Eventually I did grow into adulthood and with the responsibilities that followed, I didn’t have time to explore my other lifetimes. However, there were some “near- death” experiences that showed up – 2 with trains, that at the last minute I looked up in time to stop my vehicle from crossing the tracks. Also I had almost drowned when I was 2 years old – this was a story my family told me on many occasions and I thought this was the reason I feared the water and had such a hard time learning to swim. I learned later there was another reason – which I will reveal a bit later. And as well I found myself in many situations where I knew I had previously been in this position or place or had met this person. I couldn’t logically explain “knowing” something that couldn’t have possibly taken place in this lifetime. When I would meet someone for the first time, I would get a good (vibe) feeling or a bad (vibe) feeling that again I couldn’t logically explain. 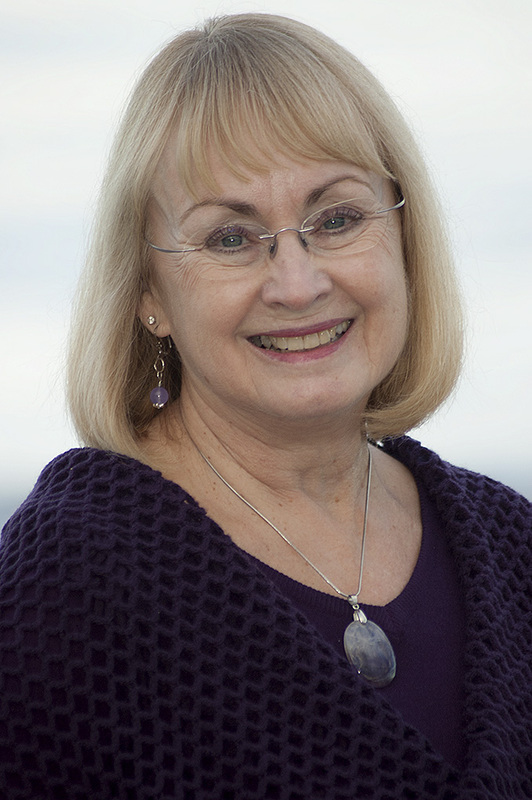 In 1999 I was introduced to Inge Knott who is the creator of Vibrational Healing & Colourtouch® Therapy. The first time I attended Inge’s workshop I was amazed to discover there was a room full of people who believed in vibrations (good and bad) and past lifetimes. Wow – I finally felt validated! I continued to study under Inge for 8 years and have incorporated what I learned from her into how I live my life. As I studied and became more assured of who I am today, I realized that the challenges I was facing in this lifetime were lessons I needed to learn that I hadn’t learned in past lifetimes. Some of these lessons were very hard – leaving a financially secure 20 year relationship. But a relationship that wasn’t validating the person I was even though I worked very hard for those 20 years hoping it would emotionally support me. Once I left – the freedom I felt was exhilarating!! I could be me and continue to develop the person I really wanted to be. I did a lot of research about my past lifetimes – how many I had, what centuries and countries I lived in, who I was as a person (not always a nice one). Learning the real reason I had a fear of water was because I had been murdered by drowning in the 13th Century when I was a young Maori woman who her tribe thought had too many healing powers. And I discovered the woman who just happened to be by the edge of the water when I was 2 in this lifetime and pulled me to safety fulfilled her role since she was one of the people who was responsible for my murder in the 13th Century. Fascinating! By incorporating these lessons and being open to new learnings I have been able to attract people into my life that support my beliefs and my lifestyle. And who knew that an old relationship of 40 years ago would show up and become a new wonderful relationship that completely supports me. Yes, we have had a few past lifetimes together and obviously the Universe still has a notion that we need to live this lifetime together as well! Today I am an Emotion Code Certified Practitioner and assist in releasing trapped emotions which are harmful energies received from negative past events. I am passionate about releasing trapped emotions to provide better health ~ increased joy and happiness ~ greater success in all areas of life. I love to teach others how to have balance in their lives. This is a skill set that once you learn it, you can use it everyday for the rest of your life. Attract the people you want in your life and have the type of life that keeps you filled with bliss and joy. Come and join me on this fabulous journey!